Have you ever heard about Yummly? Are you a new food blogger and struggling to get traffic? Or, do you post recipes on your blog but don’t use the Yum button? If your answer to these questions is NO then this blog post is for you. Go ahead, you may find it interesting and helpful for your blog. Sign up with Yummly, install the Yum button on your blog posts and grow your food blog with Yummly. Today, I am not going to post any recipe here. And, this is my first blog post that will not be directly related to any food or recipes. It is about Yummly which is a popular recipe collection website. Why am I talking about it? This post might help novice bloggers who are just stepping into the world of food blogging. At some point of time I went through this phase too. Here, I will share my own experience of using this amazing resource in growing my baby blog. I still call it a baby blog because it’s around 6 months old as of today. And, Yummly has been playing significant role in its growth. Before starting this blog I had never heard about Yummly. It is when I started to research on how to increase my food blog traffic I came to know about it. Too much of chit chat…I am coming to the main point now. What I love about this feature? You don’t have to submit recipes manually like in Foodgawker or Tastespotting etc. It automatically pulls your recipes via the Yum button. People visit Yummly looking for all types of recipes. Therefore, it is a great opportunity to get your recipes exposed to real readers. Sign up on Yummly. Fill your profile like in any other social media website. It will also allow you to connect to your other social media sites such as Facebook, Twitter and Pinterest. 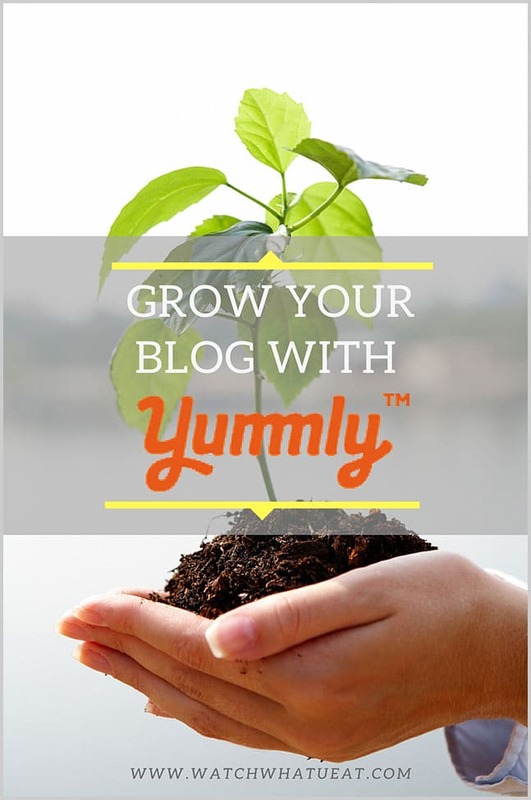 Install the Yum button on your blog post so that your followers can ‘Yum’ your recipes. The more your recipes are ‘Yummed’, the more popular it gets on Yummly. 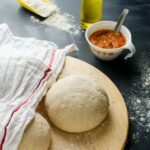 If someone yums your recipe, it gets saved to their recipe box so that they can come back and refer to them in the future whenever they want to. Join Yummly publisher network for an opportunity to get your recipe featured. Find out more on how to join Yummly publisher network here. Remember, browser bookmarklet will only help you to yum but the Yum button in the post will help your readers and followers to yum your recipes. Simply because they may not have the bookmarklet installed on their browser. Also, I would recommend using the Yum button through social sharing plugins (see image below) in addition to your other social media networks. You can check here as to how I am using it. Tiny buttons in the posts gets lost in the content. I saw some bloggers use very tiny yum buttons in their post and I personally find them very difficult to locate. Even if the readers are able to find, it may not encourage them to share your recipe. What I learnt during this journey of my blogging…. If you want to standout then you should look at your blog through your readers’ glasses. During the initial few months of my blog, Yummly was the main traffic driver after Foodgawker. For example, you can see below the stats of the third month of my blog. Before getting some Pinterest and Facebook love, Yummly was my savior and kept me encouraging to continue with my passion. During this time this Greek Yogurt Banana Breakfast Bowl got some love on Yummly. For a few weeks it kept sending us 20-30 visitors daily. This is not a huge number, but for a newly born blog with less than 10 recipes, it was encouraging to see even these many visitors daily. You might understand my feelings if you’ve just started with your blog. 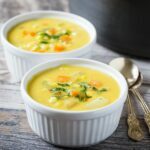 Slowly I started participating in link parties and recipe sharing groups. My new recipes started getting a boost from these and it become normal to get at least 15-20 visitors daily. Still it was not a huge achievement but we cannot underestimate this traffic, in the long term it still counts in the google rankings. After 3-4 days of publishing this Black Bean Quinoa Veggie Burger recipe, Yummly tweeted it on their twitter account. 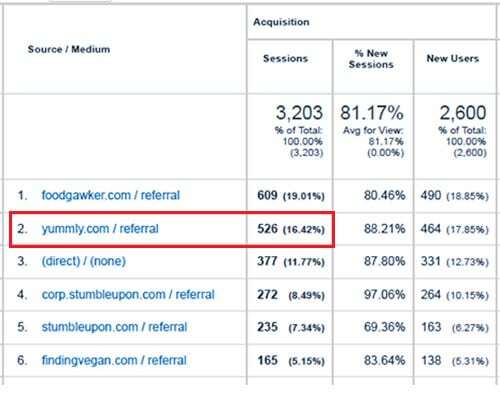 Since then I was getting an average of 50 visitors per day for two weeks and the maximum number I saw was around 90. 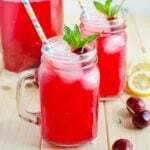 What a coincidence–I am almost done with this post writeup and this old Pineapple Sangria recipe got viral on Yummly that brought us more than 3000 page views on a single day. It was huge for this blog and set the record for the highest number of views till date on a single day. As of today our most Yummed recipes. You can get an idea from their share counts. And I am not Yummly publisher yet. Don’t feel discouraged if you are not getting traffic from Yummly initially. Have patience and keep posting your recipes there religiously. Definitely your efforts will get paid one day. Do you use Yummly? I would love to know your experience with Yummly. Share your thoughts in the comments section below. 30+ Food Photo Submission Websites where you can submit you food photos to drive more traffic to your food blog. I JUST signed up for an account with yummly last week. 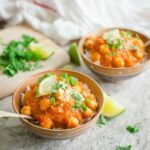 I am not a food blogger, but I love it for its recipes. It’s like a Pinterest of food only. Thanks for recommending, I will be sure to pass this on to food bloggers I know! Thanks a lot but can you please also share how you add the yum button to your posts. I am not able to do that.